What is New Zealand culture? Culture, in general, is the social behaviour and norms found within a society. This includes symbols, values, food, language and social interactions. Culture is encompassing – you shape and are shaped by cultural normative. Culture is important because it gives people identity. New Zealand was colonised by the English – The Treaty of Waitangi in 1840 signified the country becoming a British colony and in 1907, New Zealand became an independent dominion. New Zealand culture is a unique hybrid of Māori indigenous values and English values. You may notice that locations around New Zealand will have two names, for instance, Auckland is also referred to as Tāmaki Makaurau. Kiwi values are reflected in their attitude – laid back, hardworking and down to earth. Socialising is important and there is a getting together culture, whether it be a BBQ, potluck lunch or hāngi. If a host says ‘don’t bring anything’ – it is good courtesy to take a plate or gift. If someone asks you to ‘bring a plate’ – they mean a plate of food, not an empty one! 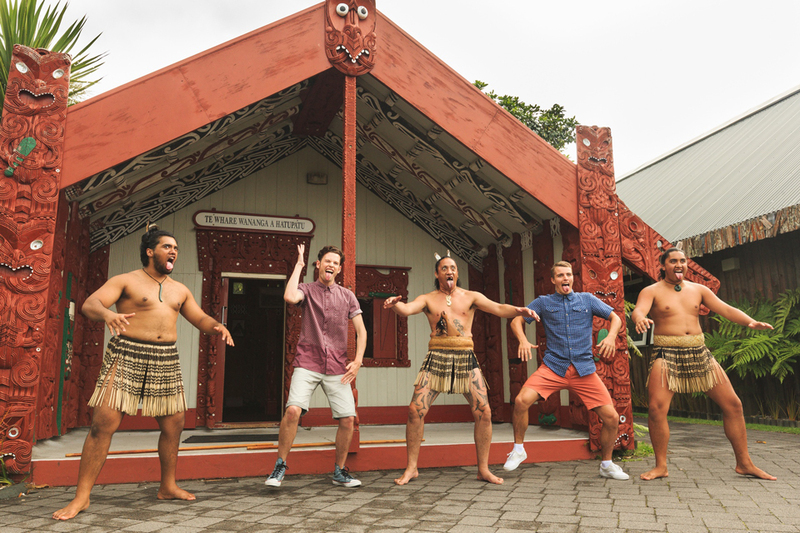 Why culture is integral to our Haka Tourism Brand? We chose our name very carefully. Historically, a Haka was performed by warriors to showcase strength and prowess and intimidate the enemy. Today, while the Haka is internationally best known for its renditions on the rugby field, it also constitutes an integral part of the pōwhiri (welcoming ceremony). Taking on Haka as our name meant that we needed to ensure we operated a world-class tourism business to match the mana the name deserves. Competing against mostly global tourism brands, the name Haka Tours is symbolic of our deep connection to Aotearoa New Zealand. How do we incorporate culture within our brand? Cultural-based learnings and experiences always underpin our customer experience and are a vital part of every tour. We are constantly looking at new ways to incorporate and communicate Māori culture within our tours and throughout our brand. Here are some exciting new inclusions that have been added to our tours! Greenstone Carving in Franz Josef at Te Koha Gallery. Here you will choose a piece of stone – either New Zealand jade sourced from the West Coast, Aotea Stone, Rhodonite, or the rare Tangiwai. 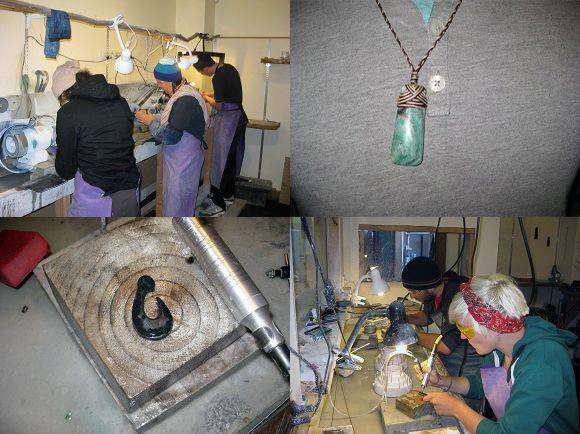 With guidance, you will start the process of carving and you will leave with a personalised souvenir. The Te Koha Gallery is an attraction in itself, featuring beautiful traditional and contemporary art. Learning the haka or poi at Kohutapu. The haka is practiced by tangata (man) and is a traditional war cry, war dance, or challenge in Māori culture. The poi is practised by wahines (women). Poi translates to “ball” on a cord and is expressed through a dance in which the poi is swung rhythmically. Kohutapu offers a rounded cultural experience, with a flax weaving lesson in which you weave your own dinner plate, share a hāngi and listen to traditional Māori stories. Waka Abel Tasman (specific for those that are on the 12day Adrenalin, 21day Legendary & 24day Epic). This is a two-hour return trip, paddling along the coast to Split Apple Rock, also known as Toka Ngawha. The waka was used by the Maori for voyaging the pacific, and by the end of your experience you will understand how empowering membership of a waka crew can be.